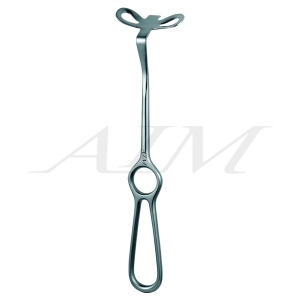 Collin Hartmann Retractor is a double-ended, "S" shaped, hand held retractor commonly used in dental procedures to hold back the lips, cheeks, or tongue. 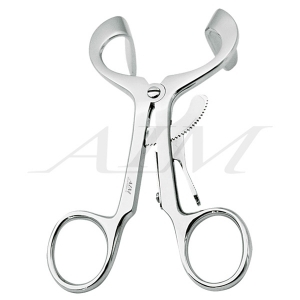 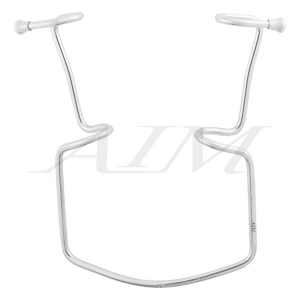 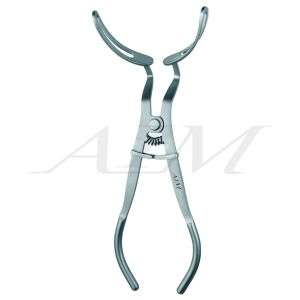 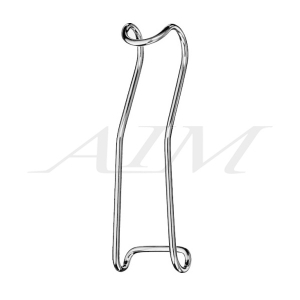 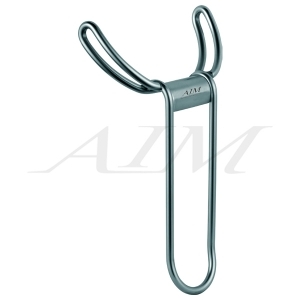 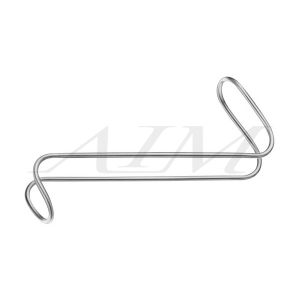 It is a wireform retractor with a straight handling area and two angled ends for retracting. 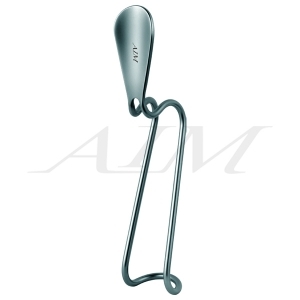 One end of the retractor measures 52mm X 33mm. 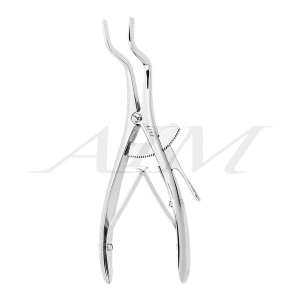 The other measures 30mm X 21mm. 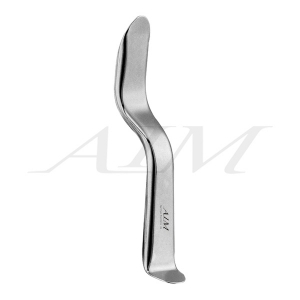 The ends of the retractor are rounded and smooth.